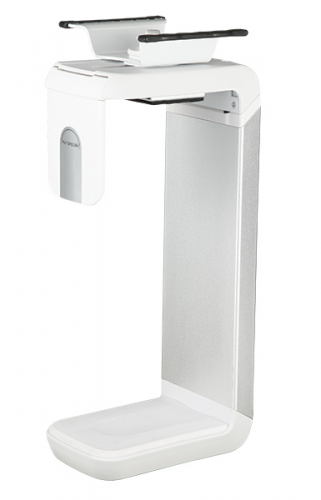 Built to accommodate the smaller profiles of today’s technology, Humanscale’s latest CPU holder combines superior function and ease of use with stylish aesthetics to complement any modern workstation. 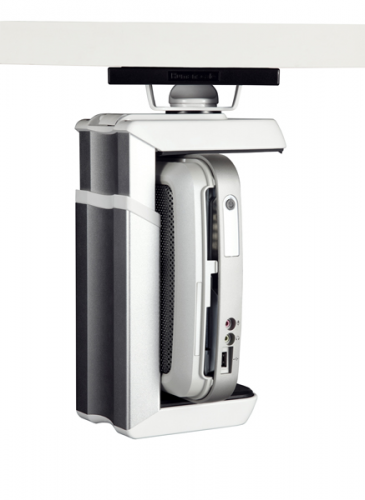 Available with contemporary white accents or more traditional black accents, the CPU200 provides effortless access to cables, ports and drives while enabling easy CPU installation and removal. Total weight of CPU holder and track: 5.1 lbs. 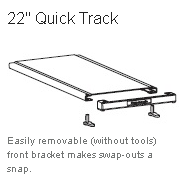 Easily removable (without tools) front bracket makes swap-outs a snap.